Commercial diving is a profession that —in many cases— combines construction with scuba diving. Commercial divers work on installations that cannot be removed from the water for servicing, such as oil rigs, bridges, and pipelines. Commercial divers use construction tools such as welders and saws, in combination with scuba equipment, to perform maintenance and repair installations that are either partially or totally submerged in water. 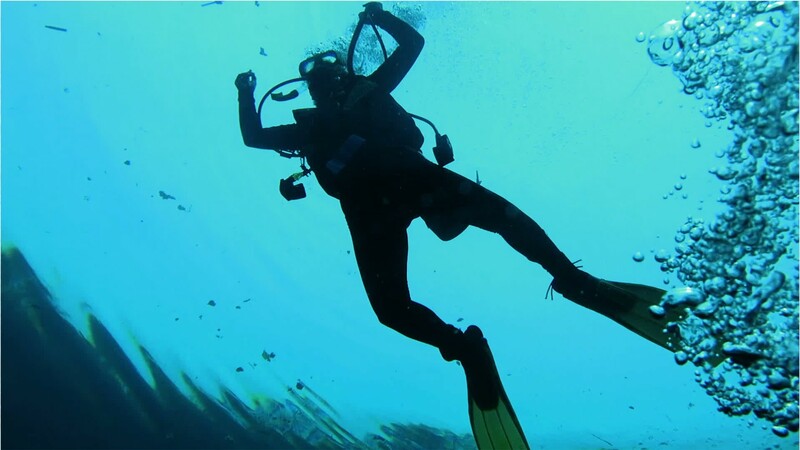 Divers may also perform other underwater work such as photographing marine wildlife or rigging explosives. They often work long days and typically spend weeks at sea on a job. Commercial diving can be both strenuous and dangerous, as it combines the risks inherent in construction work with the added complication of being underwater, sometimes working with or around explosives and volatile materials. Typical requirements to enter the field include a high school education, proficiency in English, a certificate from a diving school, and passing a physical. Mechanical abilities and strong swimming skills are helpful. Commercial diving offers both physical and mental challenges, but the work is often exciting and the pay can be lucrative. See more details at O*NET OnLine about commercial divers. Commercial Divers by U.S. Department of Labor, Employment and Training Administration is licensed under a Creative Commons Attribution 4.0 International License.